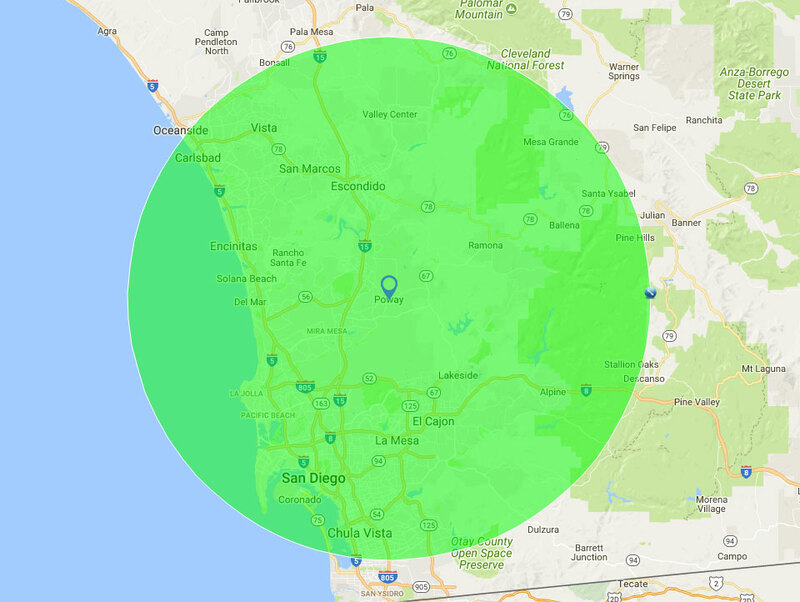 Abbott Septic Service, serving those in El Cajon, Aline, Lakeside, and surrounding areas, is one of the oldest, continuously operating septic tank companies in San Diego County. While other septic tank companies have come and gone, we believe ours has thrived because we provide unbeatable value when it comes to septic tank pumping, cleaning, repairs, locating, installation, replacement, and inspections. Our staff has an average of 20 years of industry experience, and many of them are certified by Portable Sanitation Association International (PSAI) and National Association of Wastewater Technicians (NAWT). Over the years, we served more than 12,000 satisfied clients, pumped more than 50,000 septic tanks, and earned a reputation for high-quality workmanship, honest business practices, and competitive rates. 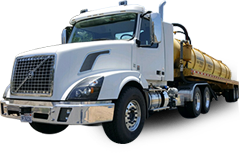 Call today for superior septic tank service in El Cajon, Alpine, Lakeside, Dehesa, Granite Hills, Crest, Jamul, Harbison Canyon, Alpine, Alpine Heights, and nearby communities. Our septic tank installation and repair services are competitively priced and backed by a one-year warranty. All work is done in strict accordance with local, state, and federal building and safety codes. Abbott Septic Service provides thorough septic tank pumping services for residents in Dehesa, Granite Hills, Crest, Jamul, Harbison Canyon, Alpine Heights, Alpine, Bostonia, Lakeside, and El Cajon. Our septic system pumping service removes all liquid waste and sludge in a timely manner at highly competitive rates. While on site, our technicians will not only thoroughly clean out your tank, but also visually inspect the tank to check for any obvious signs of potential trouble or failure. Since our employees are experts in all aspects of septic tank maintenance, repair, and installation, you can count on them to give you a reliable assessment. We are known for our honesty and only recommend repairs or other services when absolutely necessary. Call today. For exposed tanks that are easily accessible, we can typically schedule septic tank pumping within a day or two. If you don't know where your tank is, we also offer septic tank location services. At Abbott Septic Service, we understand how important it is for our clients to have a well-functioning septic system. That's why, we always look for early signs of septic tank problems, such as water surfacing, odors, and plumbing problems. In many cases, if such issues are noticed, we typically will need to dig up the tank. By assessing the structural integrity of the tank, testing its functionality, and thoroughly inspecting the system, we can determine if we can resolve the issue by performing repairs or if the system needs to be replaced. We repair baffles, inlet/outlet fittings, decks, underground pipes, and leach fields, including rock and pipe leach lines, leaching chambers, and seepage pits, throughout the El Cajon, Crest, Harbison Canyon, Alpine, and Alpine Heights area. In some cases, we'll determine that the septic system is working properly, which means that the issues are probably due to a plumbing issue inside the house. We will only explore septic tank replacement after we've exhausted all other options. 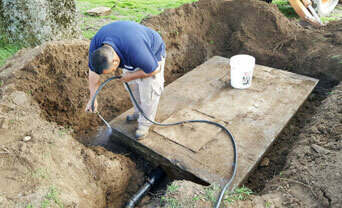 All septic tank system repairs are performed by our own knowledgeable and highly experienced staff. In addition to performing exceptional work, day in and day out, they are also committed to complete customer satisfaction. Call today to learn more. At Abbott Septic Service, we can locate and dig up septic tanks for residential customers anywhere in the El Cajon area, including throughout Harbison Canyon, Alpine Heights, Alpine, Jamul, Bostonia, Lakeside, Dehesa, Granite Hills, and Crest. 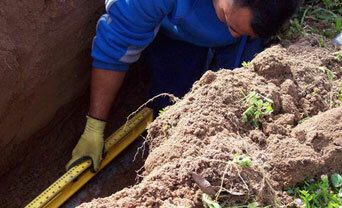 To find a septic tank, we use state-of-the-art electronic locating equipment. 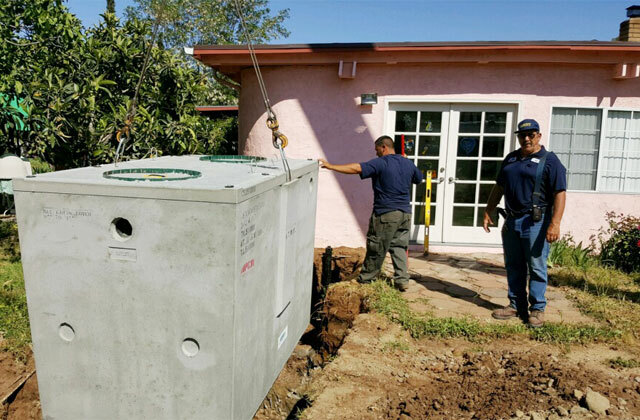 We've had success finding tanks on multi-acre lots, under homes, and even under pools. Once found, we can record its location for future reference. We can also dig it up and install a new riser and lid to make accessing it easier. Call Abbott today if you need help finding your septic tank. If you are planning a new construction home in the El Cajon area, call Abbott Septic Service. We provide free on-site consultations for new construction septic tank installations. 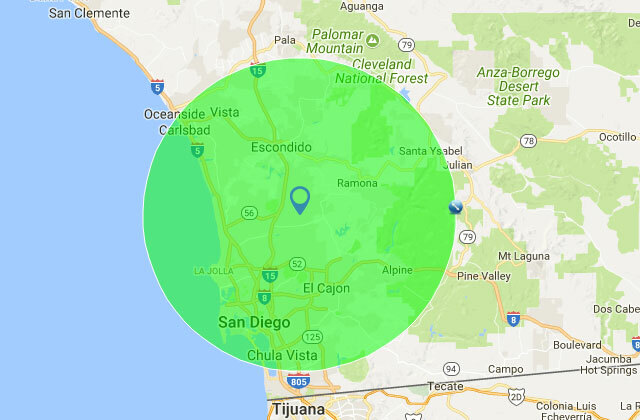 We're a fully licensed and insured general engineering contractor with thousands of satisfied clients throughout Dehesa, Granite Hills, Crest, Jamul, Harbison Canyon, Alpine Heights, Alpine, Bostonia, Lakeside, El Cajon, and other communities throughout San Diego County. You can rely on us to perform all work related to demolition, excavation, trenching, pipe laying, system installation, backfilling, and service hook up according to the highest of industry standards. We perform all work to code, handle all permits, and submit the application to the health department for inspection. We stand behind our workmanship with a one-year warranty. Call today to learn more. 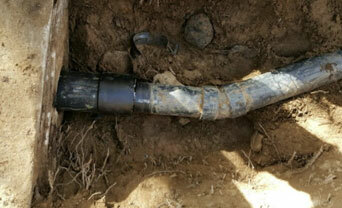 For those in need of a septic tank replacement in the El Cajon area, give us a call to tell us about your project. It may turn out that you don't need to replace your tank. We've helped numerous clients over the years save thousands of dollars by repairing or modifying their existing system rather than having to replace it. Repairs and modifications can include adding leach lines, pouring new concrete decks, and installing new risers and lids. If replacement is necessary, we will provide a competitive quote based upon your specific needs, budget, and circumstances. 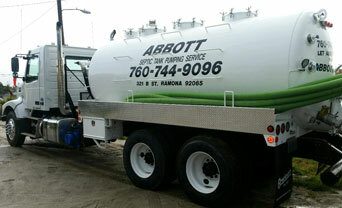 Abbott Septic Service is available seven days a week to perform septic tank inspections in the El Cajon area. This inspection includes a thorough assessment of the visible parts of the septic system and a 20-minute water test to identify any potential functional or structural problems. If any issues are found, further investigation by a licensed contractor will be recommended. Our septic tank certificate of inspection meets the needs of lenders, realtors, and homeowners. Call today to schedule a septic system inspection.